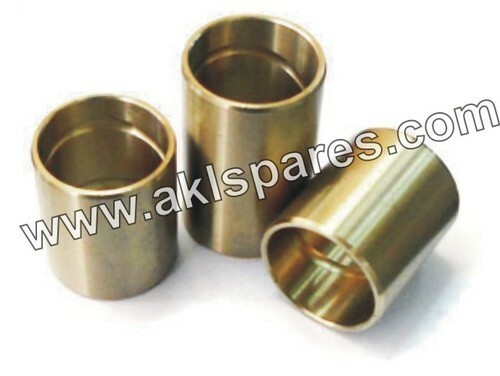 Ours is an illustrious company, involved in providing an exclusive range of Bell Crank Bush. Designed to perfection, our offered products are provided to customers in diverse specifications at most low prices. Besides, our products are thoroughly checked by expert quality checkers on many parameters to make sure flawlessness. We Om Trading Company established in the year 1991 has come up as one of the well known firm actively engaged in wholesaling and trading of premium-quality of Suspension Parts, Heavy Vehicle Spare Parts, Rubber Parts, Suspension Pins, Suspension Bolts, Commercial Vehicle Bushes, Vehicle Leaf Springs, Kamani Mounting Parts and Jack, King Pin Bush, Air Compressor Head, Bogie Check Nut, Side Wear Pad, Balance Rod Bolt, Bell Crank with Bush, Gear Khatia Euro, Propellor Shaft Sleeve Yoke, Rear Spring Shackle, Kamani Buffer Pad, Hangers and Shackles, Fan Support, Cross Holders, AMW Truck Spare Parts, Bogie Bush, Bogie U Truck and Balance Rod. These are developed using high grade raw components such as aluminium, stainless steel and many others so as to ensure damage-resistance and durability. We deliver these to customers in a wide collection of stipulation at affordable price.